Acoustical, functional and cosmetic designs from the earliest models to the current models are compatible with the Nebula series Musical Instrument Loudspeakers. Many models are similar to our long standing designs and some are entirely new. The Nebula finish is a super durable very dark purple, almost black under stage light. They’re lighter and stronger and optionally self powered. Nebula combines all we have learned over the years into a most powerful, durable and beautiful package manufactured for a lifetime. After years of research and development Bag End announces the Neptune super high powered loudspeaker system. Utilizing the most advanced and powerful components possible, the Neptune sets a new standard for fidelity and output. 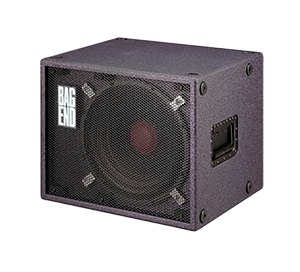 In 2003 Bag End introduced another ground breaking technology, based upon the patent of Dr. Reza Kashani, an electronic bass trap. The Electronic bass trap known as the E-trap is an acoustical device independent from, and not connected to, a sound system. It is a very powerful tunable low frequency acoustic absorber making it an extremely useful tool in small room acoustics. A decade later Bag End introduced the first widely available Extended Low Frequency (ELF) system based upon the Long/Wickersham ELF technology. This bass technology, in wide spread use today, revolutionized the way we think about high fidelity bass systems. 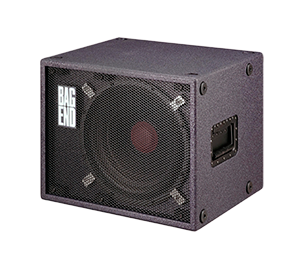 In 1981 Bag End introduced the first Time-Aligned PA and stage monitor loudspeaker system, based upon the EM Long Time-Align technology. A fundamental breakthrough in loudspeaker design that Bag End continues to incorporate in its systems today. Throughout the next 30 years musicians, recording engineers, churches, theaters, nightclubs, museums and more found Bag End loudspeakers to be the most excellent available. Our photo gallery highlights some of the products, users and applications over time. Bag End officially began in 1976 but the roots go back to 1968 when Jim and Henry first met in their high school theater department. In the early 70’s interest in live theater, music and rock bands intensified, of special interest was sound equipment. Throughout the early 70’s they constantly built and rebuilt speaker systems for their band. By the mid seventies other bands were asking them to build sound systems and, mostly by accident, a company was formed to build sound systems.